WEITERSTADT, GERMANY - JULY 14, 2016: A young woman is standing in front of a bookshelf in the public library of Weiterstadt and is looking for a book. Illustrative Editorial. 4k00:18WEITERSTADT, GERMANY - JULY 14, 2016: A young woman is standing in front of a bookshelf in the public library of Weiterstadt and is looking for a book. Illustrative Editorial. 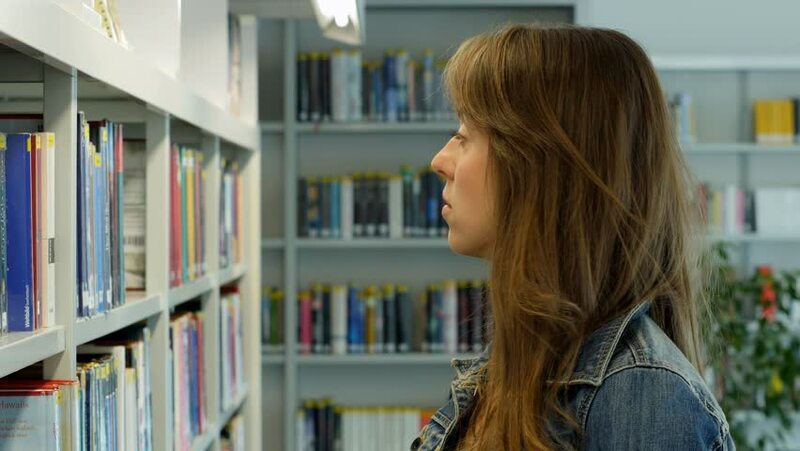 4k00:14WEITERSTADT, GERMANY - JULY 14, 2016: A young woman is standing in front of a bookshelf in the public library of Weiterstadt and is looking for a book. Illustrative Editorial. 4k00:07WEITERSTADT, GERMANY - JULY 14, 2016: A young woman is standing in front of a bookshelf in the public library of Weiterstadt and is looking for a book. Illustrative Editorial. 4k00:10A young woman in a public library. It's her leisure time and she is looking for some good books to read. 4k00:12A young woman in a public library. It's her leisure time and she is looking for some good books to read.